Although some have already accepted this norm of bodybuilding, other bodybuilders turn to a natural regimen in inducing muscle growth. 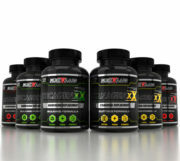 They rely on the combination of weight training, supplements, exercise and proper diet in getting the right toned body. Although the results are gradual, it is safer and contributes to a healthier picture of bodybuilding. Though only a few bodybuilders are dedicated to natural bodybuilding, the benefits of this method could take years of improvement in one’s health and discipline. For the future natural bodybuilders, here is the list of shifting to a steroid-free bodybuilding method. At the very least, one basic need in bodybuilding is putting money in gym membership. Great amount of time exercising and lifting can be done in gyms, and that could come with a big price. So if you will add steroid drugs to the list, it could double your expenses together with gears, equipment, dietician, and supplements, which are other added costs in achieving a great body. Steroids are illegal in some countries while others have intake limits; hence, people are transacting through the black market to buy these drugs. And because of the high demand on this drug, they can be conveniently bought from personal sellers. Bodybuilders spent unreal amounts of money on this drug during the golden days of bodybuilding. But gambling on steroids could one day put you in prison, like the well-known bench press record holder Ryan Kennelly. Of course, the worst-case scenario is organ failure or death. Another risk on these steroids drugs is its genuine label. Because of the rampant selling and buying in the black market, anabolic steroids could turn out fake or underdosed. The play on packaging and deliberate fraud could happen easily. Relying on the steroid-free way of bodybuilding results to muscle mass sticking around longer on the body. With the enhancing drugs, the body depends on the chemical hormones that hamper the natural production of testosterone. So once a bodybuilder cuts his steroid-dependence, the body loses the effect of the drugs. Contrary to this, the natural bodybuilder gains muscle growth in a longer period of time. But its effects are more long-lasting and sustainable. High intake of steroid drugs could lead to substance addiction. Because of the promise of impressive gains, bodybuilders take steroids in irregular dosages. But unknown to these people, the substance could produce an imbalance on our hormones, which could lead to shutting down the normal testosterone production. On the other side, steroid addiction could lead to emotional aggressiveness. Because bodybuilders see themselves as the altar of a perfect body, they tend to be narcissistic. So to meet their wants, they could turn up their substance use. And the cycle goes on until they could not turn their backs on steroids. The side effects of steroids use can be dangerous to the overall health of a bodybuilder. Among the results of using this drug are hair loss, kidney and liver failure, testicular dysfunction, and heart attack. To some extent, steroids could also cause acne breakout and frequent mood swings. Together with other drugs like insulin, steroids could even become unhealthier. 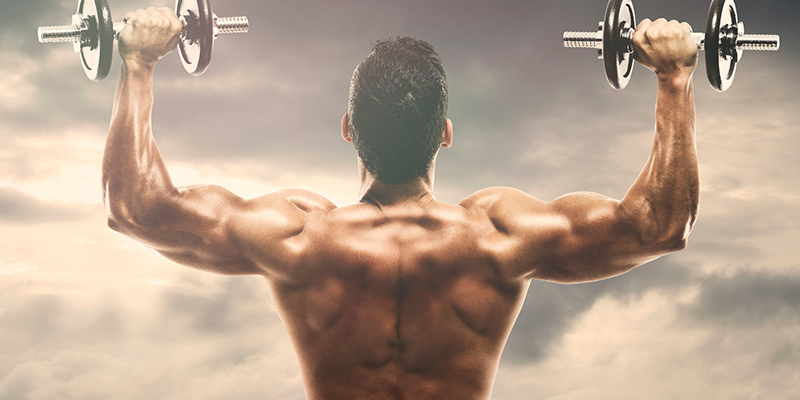 Truth be told, the most effective way of building muscle growth is going the natural method. Picking up the enhancing power of steroids could give dangerous health risks, which could become difficult in the years to come. Rather than counting on dangerous steroids, go to the gym and put up your best effort in gaining muscles every day. Consuming a good diet and plenty of rest can in fact help in faster metabolism. The truth is, bodybuilding naturally is not the first choice for new bodybuilders. The convenience and reliability of steroids still keep users engaging in this addiction because of obvious reasons. Who does not want a leaner and muscular body? But can these bodybuilders risk their lives on these enhancers? The natural experience of bodybuilding can be a harder route, but the effects can be more fulfilling and longer lasting. 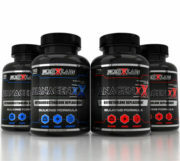 Try using a legal steroid from Flexx Labs as a safe and alternative way of building lean muscle.